This was an awesome sequel to White Hart that was exciting and filled with trials and challenges. I did think that the first one just slightly outstripped this one purely because there were more characters involved but this was definitely a satisfying continuation of the series. I already have book three ready to go! I was really pleased with this sequel to White Hart. There was no waiting about – we jumped straight back into the action where we left off in the previous book – which is the best kind of sequel, if you ask me. It’s wonderfully tricksy and takes you through a bunch of challenges that push the characters to their limits, just like in book one. I enjoyed the internal struggle that all our characters appear to have faced – although perhaps “appreciated” might be a better word than “enjoyed” . . . In this book Mai discovers so many secrets that each member of the castle has and on top of that dives into her own secrets and troubles. It makes for a great self-discovery journey and an expanding of the mind as to understanding how others think and what they think of you. Now, if you haven’t read White Hart, the rest of this review will contain SPOILERS for it – so off you pop! But on that note, definitely go and READ White Hart because it’s AMAZING! The general consensus can be that I was really entertained by this book and I have once again immediately bought the next (and final!) instalment in the series. There were some things that I enjoyed more about book one but I thought the adventures we go through in this story were incredibly exciting and very clever. Having left the last book with the ceremony going really quite wrong (#OopsEveryoneIsUnconscious) and Mai being stuck in this sort of time-locked state of being, it was certainly a heart-pumping mystery. She has to try and work out what went wrong and how to break this spell – but she keeps getting sucked into visions that reveal something about the other members of the castle. She’s struggling herself to work out where she fits into all this and she is SO CLEARLY head-over-heels for Cas – and he, her. But there’s no way that they can be together, *gets out mini violin*. With the help of Allerton in ghost-like form (it’s complicated), Mai works her way through riddles and tries to defeat the Nix once again who has come back to haunt her. It’s all building up to a rather dramatic scene and the book had the perfect amount of gauntlet-style challenges in it to keep me happy. The fact that her ghost-y guardian can’t touch/help her certainly made everything more stressful because he can only stare at her and be like DUDE YOU’RE DYING, FIX YO’ SELF. Which is, understandably, frustrating (remind me not to voluntarily become a ghost). The Nix is such an annoying little pest and my brain fails to conjure up the mental image of what he looks like. I sort of imagine Mr. Waternoose from Monster’s Inc. – all spidery and a bit more slimy. I just had to take some deep breaths whenever he decided to make an appearance, but the temptation to slap him over the head with a daisy was great. 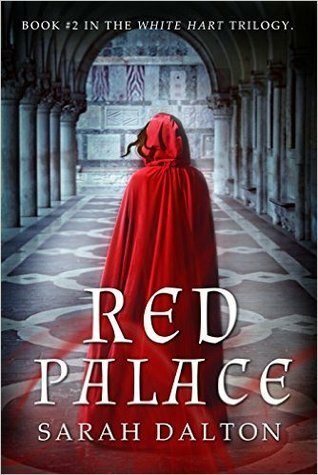 This was a very enjoyable read and I loved how many dark secrets this castle is harbouring in its walls (literally). It definitely has me seriously curious to know where things are headed next. Of course, not quite everything was sunshine and daisies (every rose has its thorns, ey? Ey? No? Well, okay then, party pooper). Whilst overall I really enjoyed this, there were a couple of points that I wasn’t quite so keen on. Namely, the setting of this book is stagnant; the entire thing takes place in the castle which felt a bit like handing me a candy bar – then snatching it away and giving me celery, after the exciting forests of book one. Whilst this wasn’t bad in itself, it just left me really craving some outdoors adventure – the good news is that we are so totally going to get that in the next book. Secondly, I think the pace was potentially, just fractionally, a bit slow. I’d’ve loved to have seen more things happen in the book (the ending was fine, though) but it just took a bit of time to get rolling. I think the beginning of the story could have successfully been jam-packed with more stuff and that would’ve made this 100% mind-blowing. But those are minor things and quite literally the only “bad” things I have to say about this. Mostly, everything is spot on. These are quickly turning into some of the most complex characters that I’ve ever read. The way the book works, it leaves you with a vast knowledge of the mental situation of almost all the characters. This is a clever book for doing that considering the whole thing is just from the one perspective, it adds so many more layers to the story. I really just enjoyed getting to know everyone better and definitely liked seeing Mai overcome mental barriers and blossom into the badass gal we all knew she could be. She seriously is very cool, I mean, stab wounds? Pssht, no problem. Mental confusion from someone infiltrating your mind? No worries, mate. Somebody give the girl a cookie. I am seriously excited to read book 3! I think we have a sure promise of wild adventure and complicated love stories ahead. I really am enjoying this series so much and I definitely recommend continuing the series! 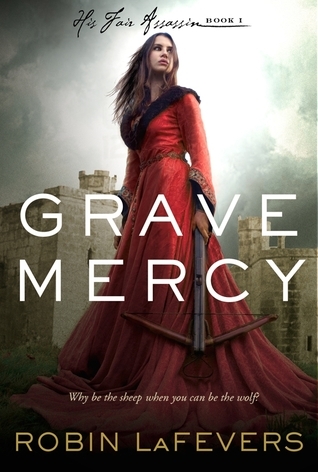 If you’re a fan of medieval castles, good-looking Princes, and adventures through the woods, Grave Mercy is for you. 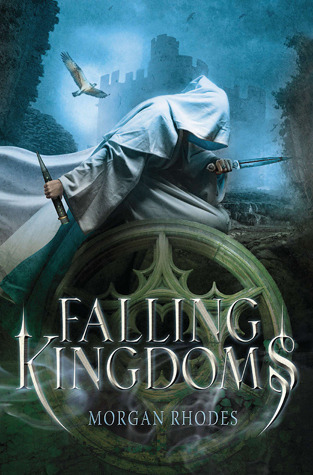 If you love your tyrannical kings, Falling Kingdoms is for you. 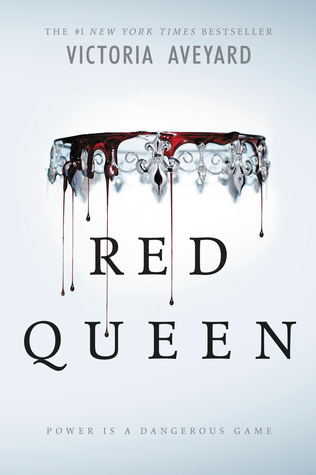 If you like strong, female leads who end up awkwardly in a castle harbouring secrets, Red Queen is for you. 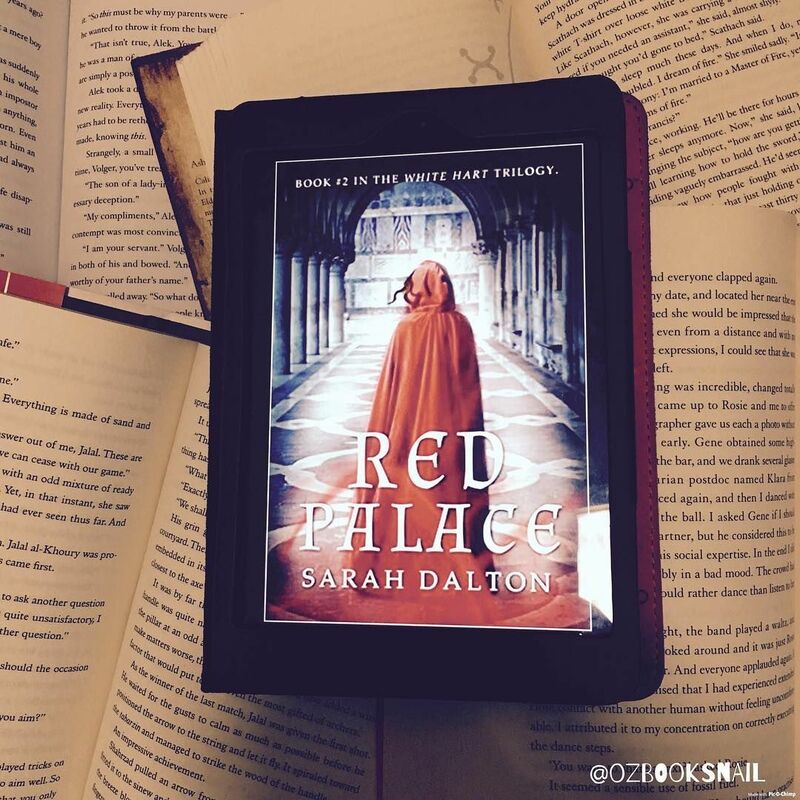 Have you read Red Palace?